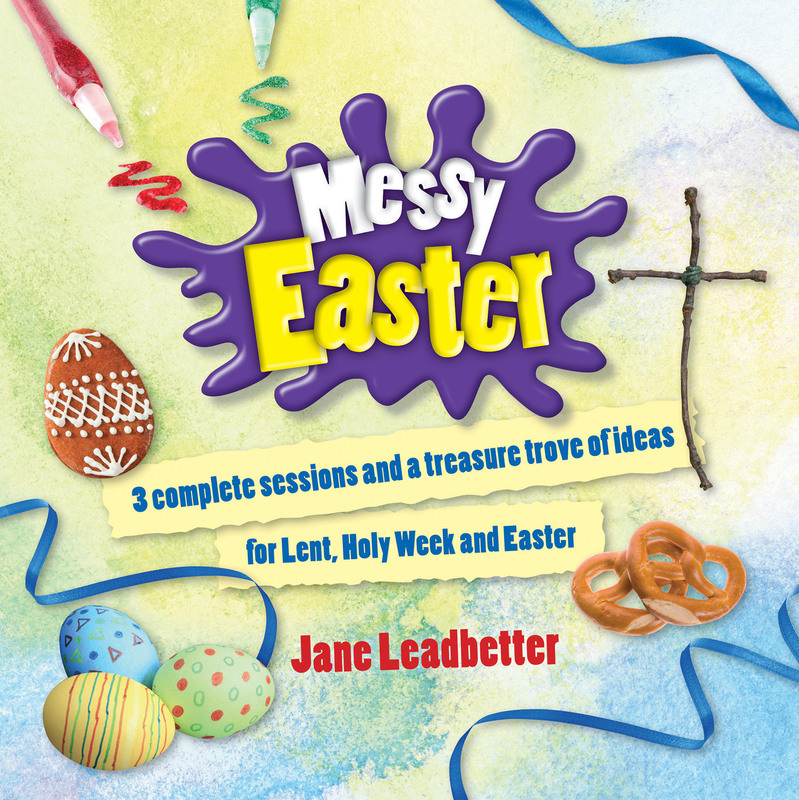 Make this Easter a messy one with the Messy Church all-in-one resource including 3 sessions on Lent, Easter and Pentecost. Introducing the Messy Church resource book 'Messy Easter' - everything you need to know for creating a Messy Easter in your community. As always Messy Church aims to provide innovative craft-based programmes that engage the creative side of learning with Christian exploration for the whole family. With Easter being an important period in the life of the Church, Messy Church have produced this ready-made resource to help Church spread the message with their local community. The Messy Church Team have produced all these crafts and creative activities to spark conversations and reflection on many Easter related themes including preparation, abstinence, repentance, reflection, self-sacrifice, death, resurrection, forgiveness, hope, assurance, and celebration. Enjoy the mess this Easter... without the Easter bunny! 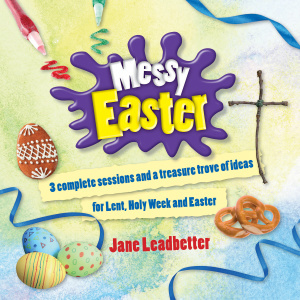 Messy Easter by Jane Leadbetter was published by Bible Reading Fellowship in November 2014 and is our 260th best seller. The ISBN for Messy Easter is 9781841017174. Another great Messy Church adventure with some brilliant resources for creative worship and play, this time divided into three themed sections Lent Messy Church, Holy Week Messy Church, and Easter Messy Church and then finishing off with some Easter Allsorts and some Easter Games. There is, as the subtitle claims enough material for 3 complete sessions with lots of extra material too - truthfully though you could easily make up more than 3 complete sessions out of the wealth of resouces here. Even if you aren't a Messy Church then this book is going to be a brilliant resource for any church with a childrens group or sunday school, for school teachers, or even just for parents looking for some good easter activities etc as the material in it is just good active fun. Got a question? No problem! Just click here to ask us about Messy Easter. Three complete sessions for Lent, Easter and Pentecost, together with a wealth of creative activities and crafts to extend the range of excitingly messy activities for your Messy Church. Sections include creative and reflective prayers, games and competitions, food crafts, Messy Moments sheets and many other ideas for the Easter season. We may not be absolutely sure when Easter Day is going to be each year, but when it comes, hurrah! Easter is one of the three most important times in the Christian church calendar, along with Christmas and Pentecost. We have a time to prepare for it -- Lent. We have a time of exceptional events to explore on the way -- Holy Week. Then we arrive at one of the most joyous and great celebrations of the year -- Easter Day! The season of Lent and Easter gathers together thoughts about preparation, abstinence, repentance, reflection, self-sacrifice, death, resurrection, forgiveness, hope, assurance and celebration. Easter is the celebration of Christ's resurrection from the dead. As it is the oldest and most important festival of the Christian church, it also includes many traditions, depending on where in the world you live. Your Messy Church, if monthly, could fall at any time between the beginning of Lent and Easter Day. You may wish to pack the whole story into two hours or select some special themes or cover just part of the journey to Easter and continue it next year. However you offer Easter to your community, please use this book as your bag of pick 'n' mix. It is important that we find as many ways as we can to help families engage with the real story of Easter. This book explores the desert in Lent, uncovers the key events of Holy Week and helps you to experience the surprise of Easter morning. The three sessions invite all ages to discover the elements of the Easter story through many methods and styles of creativity, using many different art media and skills. Everyone learns in different ways so there is a wide variety of ideas for those who enjoy activity based learning. In addition to the three main sessions, there is an 'Easter all-sorts' section with additional ideas. It is less detailed but gives examples of alternative crafts and activities to use at any Easter occasion. Messy Church offers an abundance of opportunities to share the Easter story with the community. We hear great stories of Messy Churches on Good Friday mornings, where hundreds of people of all ages gather to open up the Easter story and eat hot cross buns together.